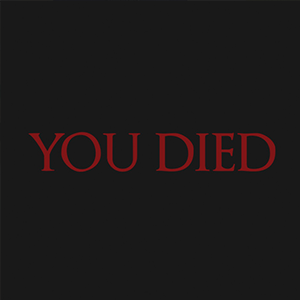 Dark Souls. Super Meat Boy. Contra: Hard Corps. There are games and genres where losing is made fun by design, and the achievement of winning--as a result--feels even better. But not every player wants an intentionally challenging game, and not every game is meant to be challenging in that sort of way! Sometimes dying is fun in games. Or so I hear. In the past few weeks while working on The World Next Door, we revisited these ideas of difficulty and player intention by inviting folks with a wide range of experience to come to our office in Portland to play-test the game with us. For those who are unfamiliar, play-testing does help us identify bugs and various glitches in the game, but the primary goal is to get a sense of how players feel when in the game. We ask questions like, “How did that battle feel to you?”, “What did you like?”, “Why did you do things in this order?” The feedback is subjective as it’s based on the personal experience of the player, but that’s a good thing: it helps us take a step back from our own work and look at the game through other people’s eyes. And you get to hang out with us. Also a good thing. Tenley (@MooseofMoose) and Jun kicking it after a fun afternoon of playing TWND! These last few playtest sessions shifted the way we thought about the design of The World Next Door, and eventually prompted us to add an Assist mode. Using this mode, players will be able to play the game without taking any damage, allowing them to enjoy the story and puzzles without added pressure! Don’t you worry, Rainy. We’ve got Assist Mode turned on! Assist modes are popping up more and more. We’re big fans of games like Celeste, Shovel Knight, and Mario Kart 8, which are all examples of titles with ways for players to modify their gameplay experience to better fit their goals and reasons for playing. You know those days where you just want to explore? Assist Mode. Want to practice a skill or strategy without worrying about dying? Assist Mode. Have a friend who has never played a game before, but wants to get started? Assist Mode. Want to get your 3-year-old into games? You know I’m gonna say. (Psst! Just in case you forgot: Assist Mode!) Providing additional difficulty options allows all players to find success and enjoyment in what they choose to play! This week, I talked with Christian--the game designer for The World Next Door--so he could share a bit more insight on the decision to add an Assist mode! A lot of intentionally challenging games, when you lose multiple times over, will give you a prompt asking “Would you like to lower the difficulty?” For most people, that’s an insult! I didn’t want difficulty settings in The World Next Door to be that way. I want it to be a transformation of thinking about the game from a competition to a puzzle. A timed experience rather than simply a challenging one. Following through that line of thinking, we made Assist mode available. And lo! Assist Mode is ready! My initial thought was that in the Assist mode, you wouldn’t have to fight anything. You’d just walk through the shrine, enjoy the scenery, Jun auto-beats the boss at the end, and you’re set. But the lack of engagement would be boring! You may as well be just reading a book. This thought was confirmed when I asked one particular tester for their opinion: “would you enjoy this game if there weren’t fights in it?” They said that even though they wanted to focus on the story, they felt the fights were still important. And we agree! Get hit with a fireball? No worries! You’ll have time to plan out your attack strategy! What’s exciting is that in The World Next Door, the majority of enemies don’t solely focus on attacking Jun directly. They interact with the board and obstruct Jun from making matches, impeding progress indirectly. So, even with Assist mode on, there are still challenges to work around...just without the impending pressure of getting knocked out. Even when you don’t have to worry about getting damaged, Grievances, like Bound, can mess with the board in various ways! Watching playtesters and getting to modify the gameplay settings based on their feedback during playtest sessions was funky because it was the first time I’ve gotten excited about design in a while. Designers are like roadies in that if everything is going correctly, you don’t see them at all, and the game is flowing good, and you see the lead singer the whole time. Here, I got to actively do something for a player, and see it work and change their experience of the game immediately during the playtest session. I liked that a lot! We didn’t originally plan for an Assist mode, but between the wide range of players who’ve tried the game so far, we realized that we want folks with varying levels of gaming literacy to be able to engage and enjoy the world of Emrys, and we’re encouraged by so many examples of Assist Mode as they start to sway game industry standards! Additional modes provide the space for players to become comfortable with mechanics on their terms, rather than only offering a pacing that we deem to be “correct.” Each person plays games slightly differently, so why not give players an optional setting to allow them to set their own speed? If you’re playing The World Next Door and your sole intent is to watch the story first, we want to give you that option. If you want the puzzle frenzy of managing health on top of making matches...we’ve got you there, too! ...and you should see all of this very soon! There are fun events on the horizon for the Rose City crew, not to mention it’s only four weeks until launch of the game: get ready for some hectic weeks up ahead. We’ll keep you posted here and on Twitter, Facebook, and Instagram on where you’ll be able to find us in the coming weeks. Other than that? We’re in the home stretch!